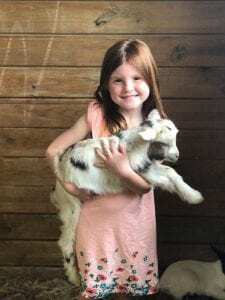 Green Meadows Farm is hosting another Homeschool Day on the farm. Our 123-acre farm located in Ijamsville, Maryland offers unique experiences for elementary-school aged homeschool children. Come out and spend a spring day on the farm learning about our animals with other homeschool children from our area. Also, what a great opportunity to meet other homeschool parents! Over 250 animals that love attention. Cow milking (and yes, it is real). Animal feed. Feed the goats, sheep and llamas or – if you are feeling brave – feed the cows, Brahma steers and/or bison! Tractors (real and wooden) to climb on (great photo ops). For this event, we are NOT recognizing homeschooled preschoolers. The homeschool child must be aged 5 to 18 and be in attendance. This offer is extended to the child’s immediate family too. Immediate family is father, mother or siblings. Everyone needs an admission sticker to enter the farm. YOU MUST COMPLETE THE REGISTRATION FORM located at greenmeadowsevents.com. Once registered, you will receive an email confirming your attendance (check your spam folder) within 2 business days. If you do not receive it, please call the office or email info@greenmeadowsevents.com . Once the time has expired to register, the form will be removed from the website and no further registrations will be accepted so please do not wait! Payment will be made upon your arrival at the farm. We accept cash and credit cards (with fee) but no personal checks. Tickets charged are $7.50 each. There is not an ATM on site. Exact change is always appreciated. To register your visit at Green Meadows Farm (and get your $7.00 rate) fill out the form below. All fields must be completed and registration received by April 23, 2019. (Your email will only be used to inform you of other Homeschool Days or discounts offered by the petting farm). Remember! This event is for HOMESCHOOL FAMILIES ONLY with children ages 5 to 18 and your homeschooled child must be with you! Be sure to like us on Facebook to stay updated on our latest farm news!